The atmospheric roof space at the Wales Millennium Centre was the perfect choice for director Yvonne Murphy in which to stage this promenade style performance of Richard III. I must admit, I was a little apprehensive of both the all female cast and the prospect of standing for what is when performed as written a three-hour play. However, when I entered the space and the performance began these thoughts were lost from my mind. The dark, cold metallic world created the production team was an appropriate setting for this plays themes of greed, power, murder and madness. The plot itself for someone who doesn’t know the play very well can be quite confusing and it cannot be expected of every audience member to understand every scene or speech from the play. However, the plays focus on Richard’s power hunger murderous journey towards power and ultimately death was clearly transferred across to the audience. The promenade style of performance added to this idea of Richards murderous journey, although for shorter audience members (such as myself) the view of the stage in some scenes was quite restricted. However, the clear delivery and energy given to the language still made scenes enjoyable. The cast of 8 strong female performers made Shakespeare’s words leap off the page, their strong performances giving the language of arguably Shakespeare’s most famous history play new energy and meaning. To avoid confusion, it would have maybe have been a better choice to use a few more female actors to differ between characters, however the performers characterisation of each separate character created interesting interpretations, in particular I enjoyed the performance of Ana-Maria Maskell as Lady Ann and the presentation of the two young princes. I am currently studying Richard III in university and therefore have been introduced to many of the interpretations of the character from Ian McKellen to Laurence Olivier. 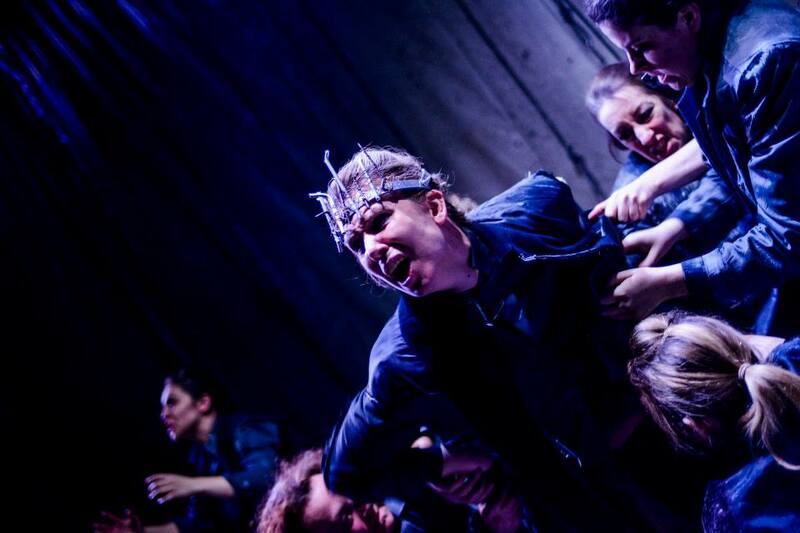 Without a doubt however, Mairi Phillips portrayal of charismatic, power-hungry and threatened king was my favourite. The performance did not lack any character because it wasn’t played by a man, Phillips played the character just as well as any man could (and undoubtably better). She demonstrated the charm and the greed of the character perfectly and the emotional climax of the character towards the end of the production showed the incredible range and talent of this actress. This all female Omidaze production of a play made up of mostly male characters created a brilliant comment on an ancient world ruled by powerful men that in today’s current social climate of worldwide conflict made the play as relevant as it would have been at Shakespeare’s time, as well as demonstrating the need for more female focused plays to be written and produced. This production was incredibly exciting from start to finish and I hope to see more productions such as this coming from the company. Arabian Nights, a perfect show for the whole family at Christmas time. Directed by Rachel O’Riordan was a show filled with endless energy and inventive inputs. 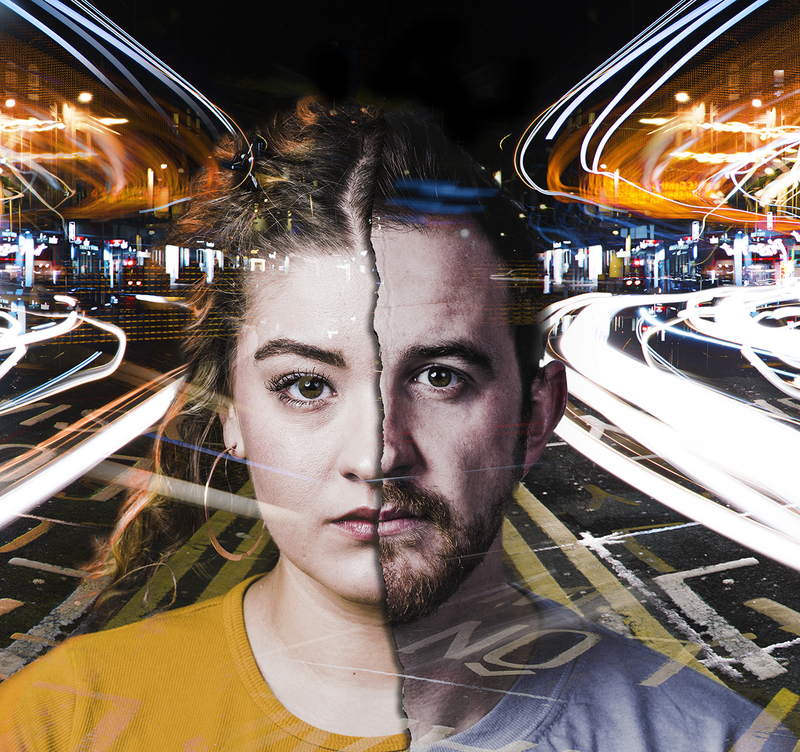 This production is Rachel’s second at the Sherman Cymru Theatre and it is just as recommendable as the first- Romeo and Juliet. This show presents themes of devastation, hope, forgiveness and love. It teaches us life lessons and the way not being able to forgive causes internal turmoil. Shahrazad, played by Elin Phillips is a headstrong, courageous girl, hoping to save the King’s mind (Ashley Alymann) who loathes all women. Due to his late-wife’s deceitfulness, every night he marries a daughter and then executes them the next morning. Shahrazad, with her magic of storytelling tries to get rid of all the pain and hatred the King has through the use of her enchanting stories. There were eight actors on stage, all immersing themselves in different roles in the stories of One Thousand and One Nights. If they weren’t playing a character they were a part of the set which created a well timed unified performance. Their presence on stage was captivating and each one proved they were diverse performers. Even though there was a highly Eastern feel to the performance they snuck in the Welsh accent which provided a lot of comical entertainment, especially from Alun Saunders. I was also very happy to see the return of Anita Reynolds from Romeo and Juliet whom was just as amazing in this performance as she was in the last. The aesthetics of the performance are something the designer, Hayley Grindle, should be proud of. The set was exemplary to the performance and the lighting choices, by Kevin Treacy were innovative. It included about a hundred light bulbs hanging down creating a starry night and a wonderful arabian atmosphere. The music, directed by Gareth Wyn Griffiths gave us a contextual insight and showcased that some of the performers weren’t just talented actors but skilled at playing musical instruments. This show is filled with fun moments that had all generations in fits of laughter. Make time this Christmas and go to see this show with the whole family. It’s one not to be missed and will provide entertainment for all. Ballet Cymru’s adaptation of Beauty and the Beast is really one to go and see. The way that Beauty played by Lydia Arnoux dances really helps you understand the ballet with no words but her facial expression to movement it is all quite beautiful and elegant. I also loved the music that gave the production a forest like atmosphere and at some points tense feeling, the Beast played by Mandev Sohki made the iconic character come to life. The Beasts costume created a towering imposing monster from the wearing of stilts gave him height and created an awkward and stubbing effect that helps Beauty fall in love with him and helps him to dance. The characters in the play like Beauty’s sisters, brothers and friends helped the scene changes they changed into dancing candles this made the play dynamic and different. The costume design was stunning and delicate my favourite outfit would have had to have been Beauty’s sisters red dresses I love the way that they moved when the sisters danced. The scenery of the play was very simple but also interesting, I really liked how they initially showed Beauty’s house having a fire-place and then the outside snowflake background. Another thing that I thought was a good part of the ballet was when before it stated they had the rose from Beauty and the Beast projected on the screen, this begins to explain the story of the fairy tale and how children will believe anything that you tell them. In my opinion I think the production is brilliant and well worth going to see. 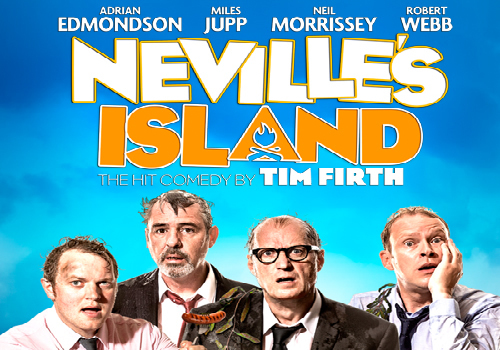 What excitement I felt when I knew I was about to see Neville’s Island, staring comedy greats such as Adrian Edmondson, Miles Jupp, Neil Morrissey and Robert Webb.All known for their influence on British culture, I was sure that a comedy performance was in store. The story of Neville’s Island saw four business men, shipwrecked on a work’s team building exercise. The story embarks on the foursome’s hunger, fears and conflict with one another. We see four very different individuals, and as the show unfolds, different significant stories of each person is revealed. The main source of comedy was seen in the angst and anger of Edmondson’s character, inflicting insults upon the apparent stupidity of the other character’s in the scenario. This proved many laughs and was helped by the minimal acting of the other’s in retaliation; later building into each burst of madness that they experience as survival begins to be a struggle. There were times of slapstick comedy, using the very well constructed and realised set of trees, rubble and real water at the front of the stage. Audience members near the front were even given rain macs with the knowledge that this water became a element to some of the comedy gold on stage. However, I wouldn’t call this production ‘side splitting’. These little moments created hysterical laughter but were far and few between. It felt that more activity was needed on stage to compensate for quiet moments where the comedy did not quite hit the funny bone. While each actor was fantastic in their performance and execution and couldn’t be faulted, the content wasn’t enough for them to truly show their comedic skills and left myself wanting more. 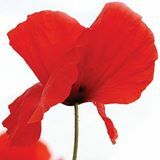 Portraying the horror of the trenches and the politics behind World War I, Everyman Theatre’s production of Oh What A Lovely War joins the ranks of performances in memory of those who fell that have taken place all over Britain during the past centenary week. Bringing to the stage once more Joan Littlewood’s iconic 1963 Theatre Workshop production, complete with Pierrot costumes and a backdrop of photographs from the war zones as well as staggering on-screen statements of the numbers lost in what was supposed to be “the conflict to end all conflicts” is an ambitious undertaking. Everyman Theatre rises superbly to the challenge, wisely choosing to present the piece as “A musical play,” rather than musical theatre, although where to draw the line between genres is never clear-cut. All the more credit, then, to director Jackie Hurley for staging a performance of this profoundly moving piece of theatre, which at times gives rise to an audible intake of breath from the audience as the ever-increasing numbers of the soldiers who died are flashed on the backdrop, yet managing to present in tandem with this an upbeat element which gives a balance to the overall result. 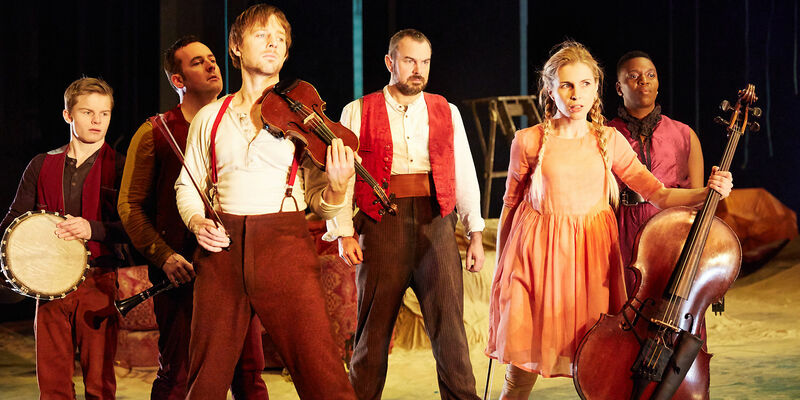 How, indeed, could it be otherwise – despite the grim reality of the core subject matter – when you have a talented young ensemble cast that includes some excellent singers and dancers? Songs that depict to a T both the era and mores of the time – from that of the title to familiar music hall song and dance numbers such as ‘I’ll Make A Man of You, ’ the foot-tapping ‘Row, Row, Row,’ and lump-in-the-throat ones such as ‘Keep the Home Fires Burning’ are memorable. Choreographer and nimble-footed dancer Richard Thomas has done sterling work here, as has Musical Director and on-stage pianist Lindsey Allen (despite grappling with a slightly out-of-tune piano.). Change of mood is crucial and on the whole handled well, although occasionally erratic, as can happen on a small stage with minimal props. As the fighting escalates, military leaders thrash out the strategies of waging war, putting forward disastrous solutions that only prove them to be blindly oblivious to what is really going on, while the young soldiers who joined up with such youthful enthusiasm slowly come to realise that the “War games” are not at all what they expected. As a sombre cloud hangs over Europe, the deafening noise of exploding shells brings a powerful sense of the grim reality of war. Amid a number of poignant moments, the one that perhaps more than any tears at the heartstrings is Christmas Day in the trenches. The emotional impact of the sound of the German soldiers singing ‘Stille Nacht’ floating across No Man’s Land, followed by the exchange of gifts and fraternization between the two sides, is huge, giving rise – not surprisingly – to sniffs from some of the audience. Focus of this production is, quite simply, to honour those who lost their lives while depicting the behind the scenes wheeler-dealing and obstinacy that resulted in such tragically large numbers of young men losing their lives. In other words: War is a dirty business. Runs until Saturday, November 15th, at Chapter Arts Centre, Cardiff. In the heart of the West End, the Prince Edward Theatre transported us deep into the depths of the Vietnam War. A remarkable and detailed set, Miss Saigon was full of oriental decoration and this vast stage contained so much detail to help us feel as if we had come off the wet streets of winter London and into the slowly destructive slums and alleys during this time of conflict. It can be argued that a production must firstly rely on its actors performance and not trust that set, lighting and sound must take a centre stage. However, this was different for this show. These elements only enhanced the performance on stage and created phenomenal and easily changing locations, at times it was difficult to comprehend how so much was possible on stage. For example, the piece de resistance of the production for me was the projection of a helicopter coming to land; air conditioning was switched on for a gust across the audience to really feel this and suddenly, a huge functioning helicopter appeared on stage. Gobsmacked is a severe understatement! This tragic tale of a love story between a Vietnamese girl and an American Soldier and how the war tore them apart contained so many amazing characters. These main character easily professed the sheer Hollywood true love that we only wish to experience; their performances pulling heart-strings of the most cold. Along with the Engineer; a money hungry ‘pimp’ who continues to play a sidekick part in the life of these two star crossed lovers, manages to bring not only a slimy and seedy character that we would expect from such a profession, but also provided much humour – a wonderful way to break the intensity of the heart breaking storyline. Not knowing exactly the story, it was a shock for me to see scantily clad women (and at one time, also a man) writhing on stage. The movement of these performers was as slimy and seedy as the Engineer, at times a borderline imitation of sexual acts being played out on stage. I began to feel uncomfortable and to really question whether there was a need for acting so obvious to be played out in front of us. Till I warmed up to the reasoning that to feel as the main female character feels in these prostitution dives, we had to also feel as intimidated and uncomfortable as her. And happily, this worked extremely well. This performance also wouldn’t have been anything without the chorus. The scantily clad women, the Vietnamese and American soldiers and the Vietnamese villagers – all together produced beautiful song and dance numbers, creating the right feeling of fear from the villagers, the seedy yet fear of the prostitutes and the military strict fashion of each sides soldiers. 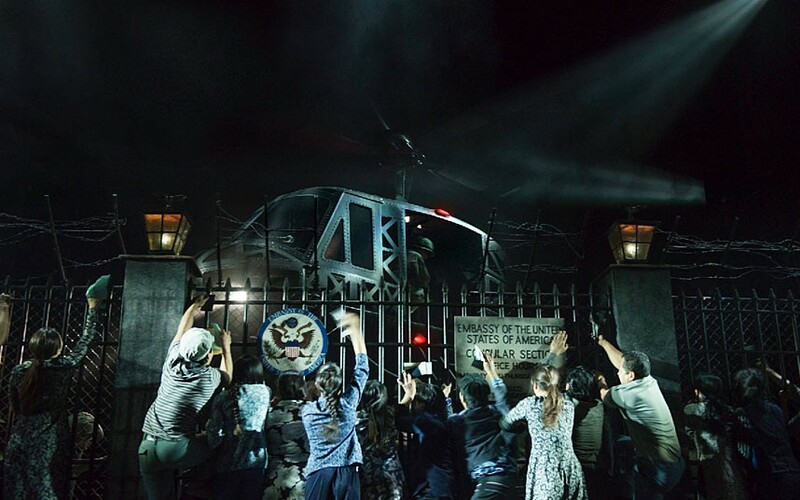 Miss Saigon managed, what all theatre should do, to create a magical world where despite the unrealistic song and dance, was easily a, what one would assume, realistic representation of this historical period – but theatrically sound and relatable for audiences all the same. During my performance training from the age of 15, I was introduced and inspired by DV8’s work. Thirty years of bringing thoughtful and impacting theatre into the forefront of audience’s minds. After seeing ‘Can We Talk About This?’ in Truro a few years ago, knowingly, DV8 brings a great approach to discussions that can be taboo, or if beginning to be spoken more about, still laid bare, and this has always had an amazing impact on me. John was no exception. A simple rotating staging was easily turned into several different locations with little change; just the addition of occasional props. The performance was about the story of John, not stage and lighting trickery and attempt to astonish audiences in this way. John’s life was from verbatim – a production based on a solo interview with a normal human being and how his turbulent life from childhood to his present shaped who he was, what he wanted and despite a possible more negative life compared to some, something relatable … wanting someone to love and love us. A combination of physicality and spoken word caught the eye and ear of every audience member. A pin could be heard within the theatre as John’s story of the horrors he had experienced and the life he was entering were laid in front of us, with no fear or cover of the truth. For some, this blunt-ness of the taboo subjects may have been much to handle, with, at times, comedy with topics that could make the strongest person cringe but what would DV8 be without this? The versatility and fluidity of the performers brought interesting scope to the spoken word ; each one was astonishingly capable of beautiful movement and never took away from the intent of their words. How their ability to contort themselves and move in such a way and still easily and with steady breath speak their lines was inspiring. And ensuring that their words still gave as much meaning as the movement, left myself in tears of awe and from the impact of the story. 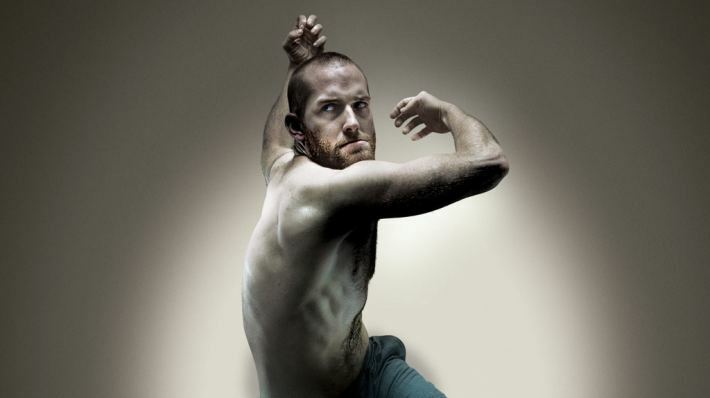 DV8, as usual have brought a fantastic and must see performance into the public eye. It is almost impossible to come away without a feeling of elation at seeing theatre at its best. The awards scheme will now be run by an independent, not for profit company and there will continue to be an annual awards ceremony. For 2015 the date and venue have been agreed for January 31st at Sherman Cymru, Cardiff. 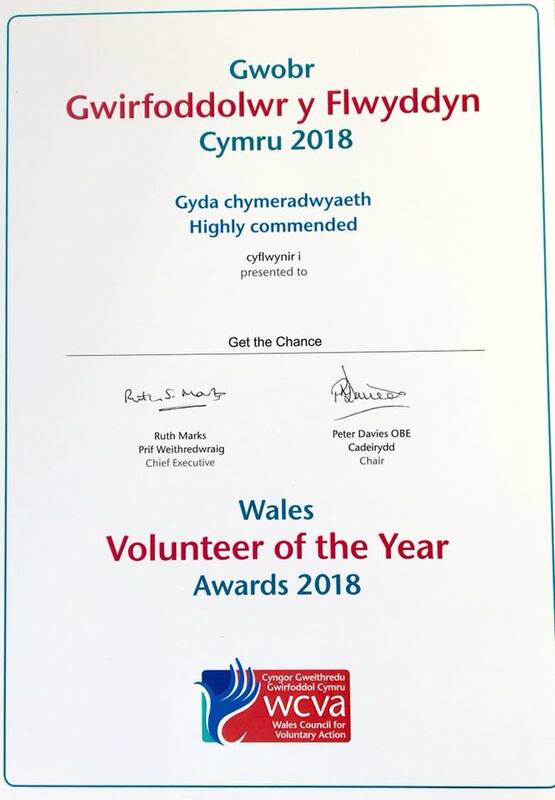 For work to be eligible for nomination, it must have been created and presented in Wales in the celebrated year. For the 2015 awards, this will be between 1st January and 30th November 2014. In subsequent years the period will change to the start of December to the end of November the following year. We plan to have individual critics announcing the shortlists and the winners. As we are committed to the awards being increasingly bilingual, we plan to have a Welsh speaking and English speaking presenter alternating during the awards ceremony. We intend both widening the number of critics taking part in the nomination process and also contributing more effectively in the selection of winners. We will create the longlist by asking more professional reviewers to nominate a winner and Highly Commended shows/individuals for each award and, importantly, give a short written reason for their choices. Unlike previous years, we will stress they DO NOT have to nominate in any category they do not wish to. Each genre covered will have a panel of jurors, who will be reviewers themselves. They will look at all of the submitted nominations and accompanying comments (to which they will also have contributed) for their genres, and decide on the winners and those that are Highly Commended. For the non-language based awards and overall Director winner, the genre panels will come together and select winners. 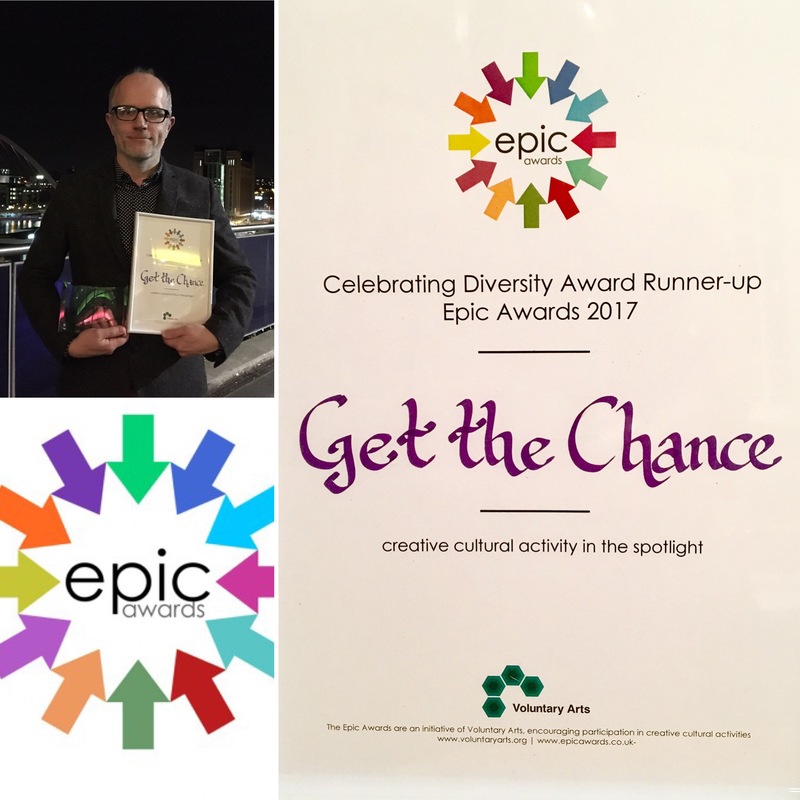 The panels for each genre and overall panel is then expected to write down WHY the winner has won and a sentence on the Highly Commended, ensuring feedback and openness. We will apply the National Union of Journalists’ code of conduct and social media guidelines to the way the Awards are conducted. We will ensure the strong link with the Young Critics scheme is maintained as in the past and we will continue to include Young Critics on all of the panels. The generous sponsorship of the award categories by arts organisations and venues will now also contribute to the establishment of a Development of Critical Writing Fund (DCWF). To emphasise the awards’ independence, they will not be category sponsors. The DCWF will be used to fulfil the following: Enable travel, accommodation etc. for critics to see more performances across Wales – something that is sorely needed – working alongside the Young and Third Age Critics. Act as a network to ensure critics are aware of shows and that reviewing opportunities exist. Work with the venues, individual companies and independent artists on ensuring critics get access to tickets. 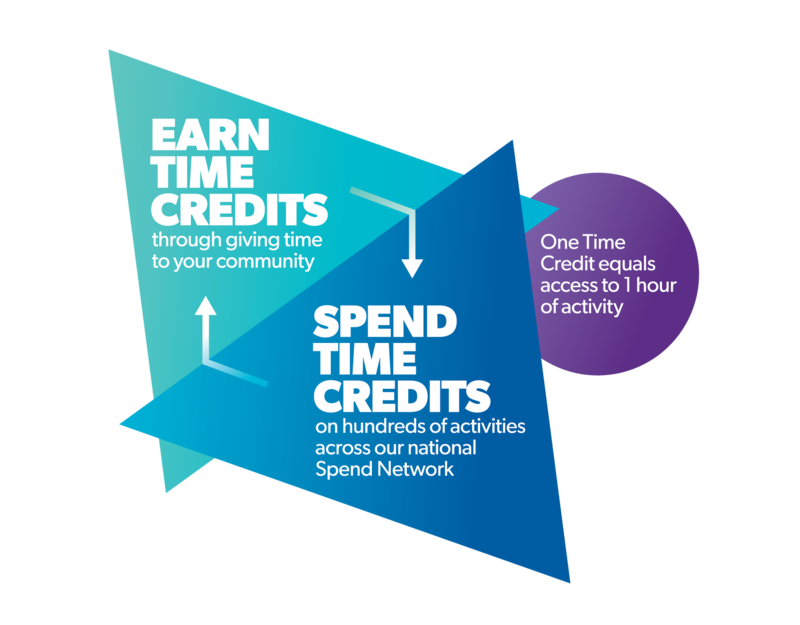 Work alongside any other organisation that is working to increase capacity and skills across Wales. (We will not directly take the mantle of trainers or pay for reviews etc. as we feel this is the role of professional training organisations, the media itself, and possibly an area for ACW to consider.) Work with venues and organisations to help them build links with their media and with critics. The awards scheme has enjoyed generous sponsorship from a diverse range of organisations that are not directly arts organisations or venues, such as colleges, agencies, and the media. We are asking those sponsors to continue sponsoring. Please contact Mike Smith: mike@mediasmith.co.uk or Harriet Hopkins: harriet.g.hopkins@gmail.com with any queries about the awards, how to nominate and sponsorship. On the 23rd of October, myself and my classmates from Willows High School went to the Sherman Theatre as a part of their Sherman 5 program to see a performance called In Time O’ Strife by the National Theatre of Scotland. The performance was about the miners’ strike, and the angst and difficult period of time for the miners and their friends and family. I didn’t know of this strike before learning of it in my history class, only a few weeks ago. Learning it then I could only learn it from a political point of view, however seeing this production enabled me to see the strike from the miners and their friends or family’s point of view which gave me further insight into the strike for the pony of view of the miners. 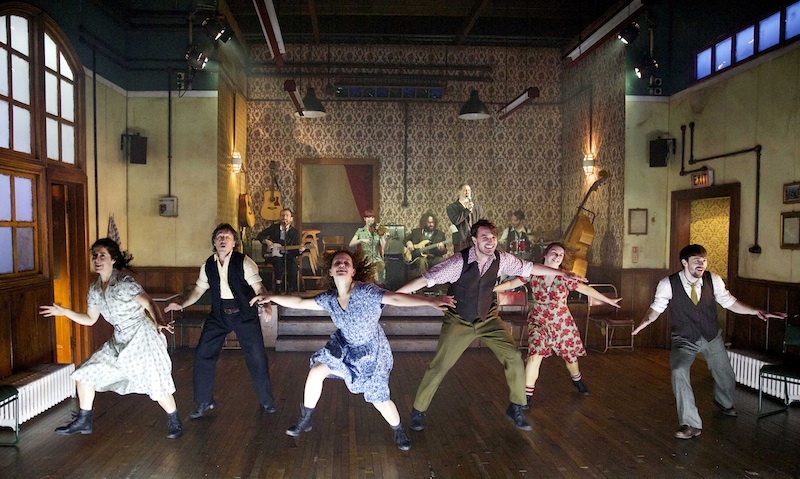 The performance opened with the company and band playing music, singing and dancing as the audience filed in to fill the theatre. The atmosphere was lively and fun as they sang and danced up to the very beginning of the play. As the audience were taking our seats, the songs and dance numbers enthralled us, me in particular. The songs were infectious and myself and my friends couldn’t help bobbing along and dancing in our seats. Some of the songs that were joyous and happy made everyone want to get up and join in on the celebrations that were occurring, however the songs that were slow and meaningful made us all feel the fear, the deprivation, and most importantly feel the sadness that the miners, their friends and their families must have been feeling throughout this time. When the performance started and throughout it, the thing I noticed, and was most impressed with, was the use of lighting. Numerous light switches were strewn around the set which the cast themselves used to change the lighting between scenes. The use of this was so effective. The changes of colour and density caused definite emotion to stir up during the scenes for both the performers and the audience. The set designed by Graham McLaren created an almost antique feel to the performance. The way it was designed fit the era it was set in and the whole performance perfectly. The use of the small TV which was counting the days of the strike and the small radio on a little shelf really made the whole performance seem real. The performance was hugely enjoyable and the loud music, strong choreography and excellent acting doubled it so. If you are both passionate about music, dance and history, I recommend this performance to you. 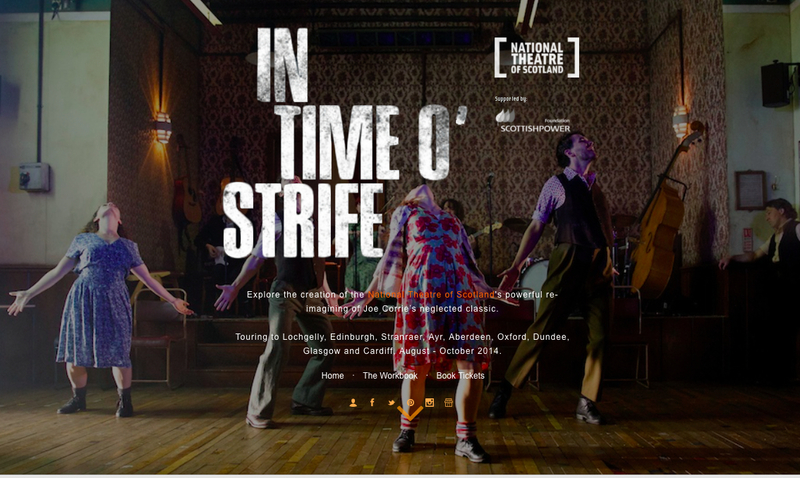 It was pure coincidence that I was learning about the miners strike in school when I went to go watch the production of In Time O’Strife by National Theatre of Scotland at the Sherman Theatre. I already knew some facts about the strike, but the production gave me the ability to see it from a miners point of view. Through the rhythmic music and the choreography I could see the struggles and hardships the miners and their families had to face. At times the music was joyous and made me want to get up and join in with the dancing, but other times I could feel the fear and desperation the miners must have felt. Every voice that sang enchanted me into the world of the play through song. The choreography by Imogen Knight was genius. It captured pain and frustration perfectly. The stomping of the feet during the movement sections particularly stood out for me. The set designed by Graham McLaren (who also adapted and directed this production) was in a vintage style and fitted the era the production was set in expertly. I noticed a small TV screen counting the amount of days the miners had been on strike. First it was 185, then 192 and lastly 199 days. This made me think about how hard the strike must have been not only for the miners, but their families too. The strike caused what I assume is a close community to fall apart. The choice between starvation or to be shunned by everyone you know consumes them all. I saw that especially from the character Jock played by John Kazek. I know that I wouldn’t be able to be as strong as the miners during the strike, but you should all watch this performance to decide for yourselves. Especially if you enjoy music and history.